Search for "Bancroft Elementary" and click on the entry that comes up. Click Next. ​Enter your information. Don't worry if you have two children, you can enter a second one later. Once you receive the email, click on the "Join" button in the email. That will take you to complete the registration process. ​First you must confirm you name, and pick a password. Then you get the chance to update your child's information, and add any additional children you may have. Next screen allows you to enter your contact information. This is also the place where you select what others will see of that information. Konstella is our school's only directory, so this is the only way for other parents to find you or contact you. In the past the parents have used Konstella to get the emails necessary to send out invites for a child's birthday and to call those same parents when the birthday child gets sick and party gets cancelled the day of the event. For those reasons and more we recommend that you at least set your email to be shown and your phone number if you feel comfortable with it. 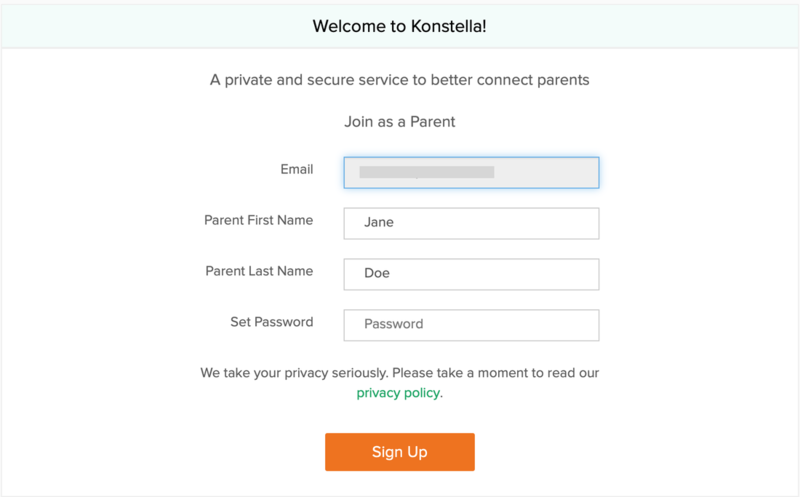 If you choose not to show your contact information, other parents will still be able to contact your through Konstella directly. That's it. You're now signed up for Konstella.